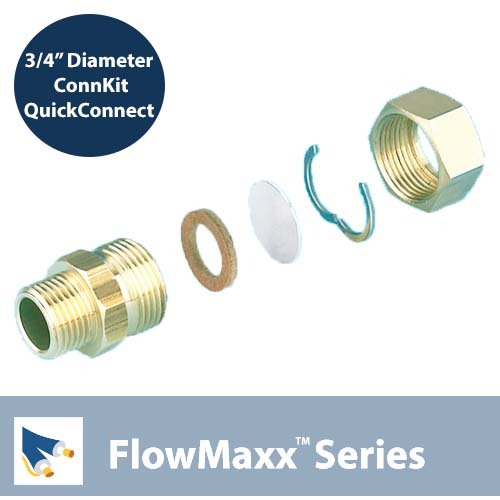 SKU: FlowMaxx-A-34-ConnKit-V3. Category: Pre-Insulated Solar Line Set. The innovative QuickConnect system, exclusively for the FlowMaxx pre-insulated line set has made connecting line sections amazingly easier. With this patented, safe and secure system, you can connect lines without ever having to solder or weld piping. All you need is the simple quick connect system to have a fast, streamlined, safe, and secure solar hot water installation.